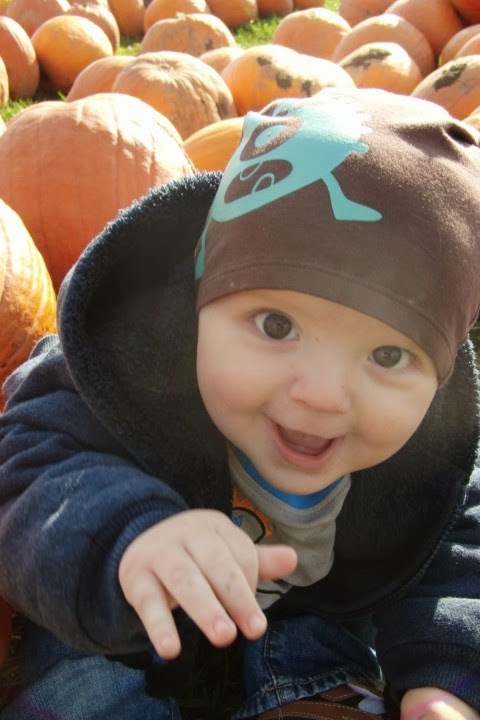 I don't really know how I stumbled upon the Rookie Moms blog a few days before my due date with our son Sebastian, but I am sure glad I did. Like Whitney and Heather, I love lists and challenges, and when I saw their list of 52 Weekly Challenges for Rookie Moms, I knew I had found something great. I knew nothing about being a mom so the idea of someone giving me instructions for something to do each week for a year was very appealing. What I love about these challenges is that it is impossible to complete this list on your own. For some of the challenges you must seek out other moms, spend time with your partner, meet up with your friends and family, or even (gasp!) spend time alone. Actually alone. Sans baby. We've heard motherhood is isolating, and this can be true, even on the very best of days, so it is essential to “get out of the house every day” and build connections with your family and friends, both old and new. One of my most proudest moments over the past year was the first time I took Sebastian somewhere on my own. He was just two weeks old, and we went (in the car!) to Chapters to get a latte and a cover for my new Kobo and quickly check out the children's book area. We were maybe there 20 minutes, but it was a huge deal to me. We went to Movies for Mommies and saw the Great Exotic Marigold Hotel. Successful mom and baby outing. One by one, many of the women in my book club are becoming mamas. We had one particularly lovely night out on a patio last July with great wine and wonderful company. We try to do this regularly and even did an overnight trip later in the year. Along with grocery shopping, S. and I enjoy going to the farmer's markets together. The first time we went, I picked up some zucchini, took it home, and tried out my Baby Bullet and voilà – baby food. I wasn't sure about this one, but it ended up being really fun! I can't wait to host another one. I really think everyone who came went home with a few 'new' goodies. I knew S. was in good hands and so my husband and I enjoyed a night (and morning) off. Along with celebrating Sebastian's birthday, my husband and I also celebrated making it through the first year. 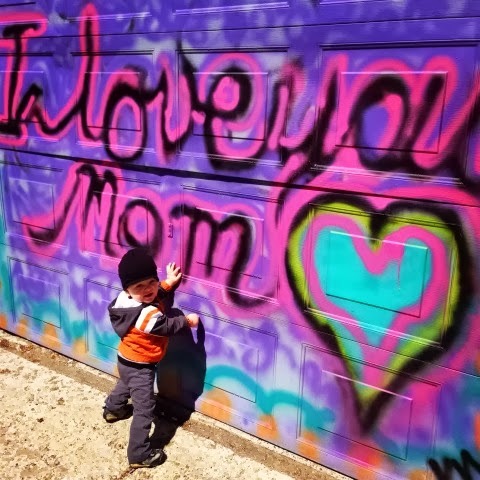 I also loved the unique pictures we got of Sebastian on all of our excursions: finding some cool graffiti, taking a walk near the CN Tower, visiting the pumpkin patch, and making our Modern Family video and picture.